It is Thanksgiving morning for some of us. Went by Winterfell Harbour last night, snow on the ground. Just a couple inches, first snow of the year. The forecast calls for snow throughout Winterfell this weekend. New Babbage will see snow as well. Not sure if it’s from the same storm. First there were rumors, now there is confirmation! What was dismissed as “just talk” by some a few days ago turns out to be fact. Caledon is preparing for war! The timeline for the invasion is not known but Caledon has been taking steps in preparation for war against the Mainland. Air, land and sea forces are being readied. The Guv’nah, Desmond Shang, spoke openly of war at a gathering of leading Caledonians over the weekend. On Tuesday, at her regular Tea, Prim Minister Gabrielle Riel of New Toulouse told those gathered of Caledon’s war plans and gave excerpts of a communiqué sent her by Mr. Shang. The communiqué was sent to other steamland heads of state as well. It asked them to ally with Caledon in the war effort. Ms. Riel announced that New Toulouse will remain neutral in the War of 2010. Ms. Riel, a prominent Caledonian herself, said she opposes the idea of war. She also offered her opinion that New Babbage will ally with Caledon. Dear Reader, I will continue to follow the war events and publish them here. I do not yet know if I will write as observer or participant as I am still gathering information. While the above report may sound incredible to you, Caledon has been involved in wars in the past. This was before my time in the steamlands so I intend to research this. The SS Explorer has been anchored at my Austral home since I purchased her two months ago. She just sits there, looking beautiful. I do wish to take my friends for a sail but I have to learn this ship first. I had not had the chance to take her out. It was time. We set sail to the Sea of Fables last week and a wonderful trip it was. Our purpose was to begin to explore this sea which I had read about only recently. We docked in Bohol which would be our starting point for a day trip around the north of Fables, a scouting trip to begin to learn the area. The next morning we set out for the open water through Sargasso and into Baltic. Then it was north through Celebes and Sulu. The seagulls were plentiful and a few followed our path. We then entered Okhotsk for the pass between Joppa and Gorgon Islands. I had been warned to avoid the gorgons that are said to inhabit the latter island. These serpents (some are said to have wings) are known to have the power to turn a person to stone by gazing directly at their eyes. I chose to cover my head with a cloth that I could pull down over my eyes should I see a gorgon before she saw me. We passed by the island without incident. This would be the only danger point on the trip, it was clear sailing from here. Next, I guided the Explorer on to Cortez and up along the east coast of Perseus Island, then west along its northern coast. It was here that I determined to change our destination. Although my interest in coming here was to explore the Sea of Fables I realized that we were fairly close to land I used to own on the Atoll continent to the north of us. I thought it might be fun to go up and see the old neighborhood or whatever it had become. So we headed west through Bering and into Lane, where we followed the coastline until turning northward into the mouth of the East River, through Pippen and then passing under the great bridge in Macclaine. We passed through the Free Town of Helvellyn, a part of the East River Community a well-governed, attractive settlement along either side of the river covering all or part of a number of regions. The river was a channel through Helvellyn but well marked with lighted buoys. Then through Kirkstone and finally, Brooks, my old hometown. The East River Community had been established while I was operating my town, Pine Tree Square, in Brooks but it has been growing consistently since, including the acquisition of my old land. Brooks now mostly grows wild, a forrest area, thick with beautiful trees and other vegetation. We sailed past my old boathouse parcel in Skiddaw, then through Cook, Joiner and Champlain. I was looking for a seaside tavern to stop at but the area had none to offer. Finally in Erie, I put up at Katy’s Dock, made arrangements for the ship and then returned to the steamlands. I went to The Evergreen Pub, my place in Caledon SouthEnd, to sit and record the day’s journey over a late supper. But the first thing I wrote in my journal was not about the Sea of Fables nor was it of my old neighborhood, it was: the SS Explorer is fit to sail. Based on that alone, this mission was a success. We will go back to the Sea of Fables as there is much more to explore there, a vast area. First, however, I must take her to waters I know well as observer but not yet as sailor, in my present neighborhoods. I will learn the local waters and show her off a little. Something big is going on. At least it seems that way to me. But I haven’t the foggiest what it is, or where or when. Quinquifid Oddenfen was staying at my guesthouse in Laudanum. Our paths crossed briefly one morning. 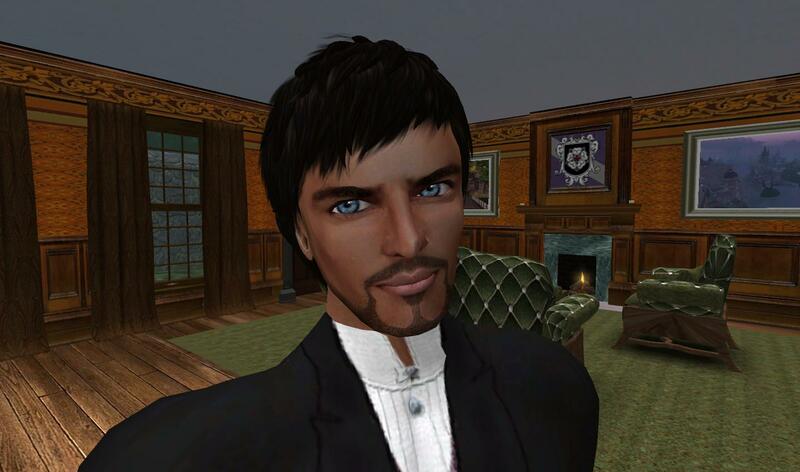 He was on his way to Caledon and New Babbage to use their libraries. I told him I would be visiting near some other worlds he works in and would like to go to some of the places he and Dot Macchi have told me about. I have visited some of these places already but not for some time and the others would be new to me. They have given me an open invitation to visit but I needed to discuss the logistics of moving about in these worlds. He was in a hurry, as he usually is, so we agreed to discuss it over supper at my pub that evening or the next. That was the last I saw of him. It seemed quite odd that Quin would find what he was looking for on his first day in the libraries. But who am I to say what is odd, especially with Quin? As I told someone recently he is a genius and they have their own way of thinking that is beyond what most of us, even the intelligent among us, will ever experience. Obviously whatever he found on just one day in the libraries was important enough to cause this abrupt departure. I had expected him for several days at least, maybe a few weeks. I was going up to Ebonshire the next day so on the way I stopped at Ms. Macchi’s place in Sanctuary to give her the news. It was early so I walked about her grounds a bit to make myself obvious and give her a chance to prepare for company. She has a glorious view to the south of Winterfell Castle. I lingered by the water for a while and stared. I then headed up to the house but before I reached the door, Ms. Macchi opened it. She was smiling and seemed in a good mood on this fine day. “Good Morning, Mr. Whitfield. Do come in and sit by the fire a bit. Join me for coffee.” She led me to her upstairs sitting room as she had just moved in and the ground floor was not yet furnished. The fire was nice on a morning which was a tad chillier than normal. She poured and handed me the cup. I told her about Quin’s note. Her mood changed. It was obvious she was worried about Quin. Ms. Macchi told me she knew Quin had departed as she had tried to call on him in Laudanum but she had not known why he had left. Ms. Macchi’s reaction to Quin’s note he had found something in his brief study, made clear to me that this finding was something of significance. But Ms. Macchi just sat quietly, thinking, sipping her coffee and looking at the fire. Though the moment didn’t seem right I felt I must tell her about my recent visit from Elspeth Sorrelwood and about Ms. Sorrelwood’s request that I watch over Quin during his stay. Ms. Macchi began sipping her coffee a bit faster but still, said nothing. “Dot, are you all right, my friend?” I had never called her by her first name before but I sought to snap her from this trance-like stare. She did not flinch. After a long moment she finally said, “Yes, Mr. Whitfield, I am fine.” It was clear she was not. Feeling I had done enough damage for one day with two pieces of what seemed to be important news but which had surely distracted Ms. Macchi, I finished my coffee quickly and excused myself. I stood but Ms. Macchi did not move. “I shall let myself out Ms. Macchi. Thank you for the coffee.” I moved toward the door. Then out the door. When I reached the stairs I heard her call, “Thank you, Mr. Whitfield.” I left for Ebonshire with the feeling I had ruined her day. Back to Work – To The Pubs! I returned to the Steampunk Explorer office in Laudanum after my unexplained absence fearing what lay before me. Mr. Steampunk had sent a number of proposals and requests from our Babbage office and the first order of business was to go through these. A priority in Mr. Steampunk’s view was our planned list of the Best Pubs of the Steamlands. Much work has already been done on this project but it was now time for me to do some follow-up research. Wasting no time I jumped into this assignment with vigor. The first place that came to mind and therefore the place I wanted to start at was Le Vieux Canal Jazz Club in Algiers parish of New Toulouse. This was the scene of the hurricane party I attended when Adolphe struck New Toulouse. The owners, Abigail Raymaker and Amber Palowakski, certainly know how to throw a party! Le Vieux is one of the friendliest, most comfortable drinking establishments anywhere in this world. And I say this as the owner of three pubs myself. On this afternoon, the club was empty. As I walked in the radio was playing the Clara Smith version of “Nobody Knows The Way I Feel This Morning” – a favorite song of mine by later singers. I love the music one hears in these environs. I sat at the bar and ordered a pint and gave thought to strategy: How best to explore the pubs of the steamlands? This would require some thought and more than one pint. As I sat, thinking and drinking, someone entered. It was Addison Greymyst, a neighbor of mine in Austral and, more recently, a fellow Talooser as well. He asked how I had the time to be spending working hours in a bar. “I am working, sir,” I said and explained about the Steampunk Explorer project. Lifting my glass I added, “This, sir, is research.” I finished my pint and ordered a round for the two of us. I gave a toast, “To research!” “To research!” Mr. Greymyst repeated. We later toasted Le Vieux, New Toulouse, Austral, worlds unknown, pubs unknown and research again, all the while solving the problems of men and women everywhere and developing a strategy for world peace. I have erected a guesthouse next to my main home in Laudanum for use by my friends. Ms. Dot Macchi used the house for a couple of days recently. Following her brief stay she was kind enough to donate a daybed to the downstairs furnishings which, I admit, were rather sparse. I really wasn’t ready for guests but I offered the house and she accepted. I plan a small study on the second floor. But before I can get to it, I have another guest! By coincidence it was Quin Oddenfen, friend of Ms. Macchi. Mr. Oddenfen’s work has taken him to another place but he returned to the steamlands for some study in the libraries of Caledon and Babbage. On the day Quin moved in, I was at my weekend retreat on Cape Wrath. A visitor approached the house. I don’t get many visitors out there and it is rather remote so people don’t just happen by. I went to the door and was surprised to see Elspeth Sorrelwood who had been living in Sanctuary. I had met Ms. Sorrelwood soon after she first came to Winterfell and we have spoken once or twice since but why would she come all the way out here to Wrath to see me? Could this not wait until my return to Laudanum at the start of the week? She told me she was leaving Sanctuary and that Ms. Macchi would be there. “Is your business taking you elsewhere?” I asked Ms. Sorrelwood. “Elsewhen, sir,” came her reply. “Well, to be accurate, elsewhere and elsewhen,” she added. As a time traveller myself, I needed no explanation. But this was not her main reason for coming. Ms. Sorrelwood then asked if I would watch over her “nephew” Quinquifid while he is at my guesthouse. She said she thought me to be a person “who can talk sense” into Mr. Oddenfen. It was a bit awkward to be asked to watch over a grown man but this lady, whom I have only met a couple of times, had come all the way out to Wrath to see me. This was important to her. I told her Quin is a fine man, a genius, in fact. She agreed and spoke of his other good traits but she seemed worried. She told me he would be using the libraries and when I noted Quin had told me this she seemed a bit relieved. I told Ms. Sorrelwood I would keep an eye on Quin. But I did not really know what to watch out for. When Austral was discovered I was one of the first to explore it. Something about this land called out to me, much as the northern lands of Winterfell had done before. The two nations, while very different, have something similar in their appeal, at least to this observer. Just as I had to have a home in the north of Winterfell – first in Ravens Reach and now in Ebonshire, I knew it was just a matter of time until I succumbed to the charms of Austral as well. In both cases I wasn’t looking to buy more property but in both I could not help it. Such is the call of these two beautiful lands, one to the north of Caledon, one to the south. I have been much involved in the community here. The Steampunk Explorer office in Austral prime was established almost immediately upon the discovery of this land. I have recently opened the Icebox Pub in Austral Wollemian as a home for the group Steampunks of Austral as well as a hangout and concert and dance venue for the locals and visitors. In between I established a home in Austral Wollemian. The Wollemi tree is believed to be the oldest plant on this earth. It is a pine tree, an evergreen. My home is on the east coast with breathtaking sunrise views. With the Wollemi in mind I decided to call it Evergreen Cove. I have put a house on the land that is rather eclectic in its influences. It’s a bit odd, ‘funky’ is a word I once heard in my time travels that might just fit, though funky is a rather tricky word with several meanings. I think the house might fit more than one of them! You might have to see the house to know what I mean. It’s a little Steampunk, a little Victorian, rustic yet urban, moss-covered brick, a good size house with a sunroom facing east. I have also anchored my ship, the SS Explorer in the cove. I purchased the land in August but only lately have I been able to start to turn the house into a home. Although Laudanum is and always will be my main home, each of my residences serves a purpose and is important to me. The Wollemian house is my south sea base. It is a retreat from my work and brings the calm I feel when in the woods of Ebonshire or on the coast of Cape Wrath. Yet it does not have the same brand of isolation as those two homes. This house and this spot are more connected to the community. It is just a short walk from the Icebox Pub which has the potential of becoming a community center here. It is also a great seat from which to watch this young nation grow. 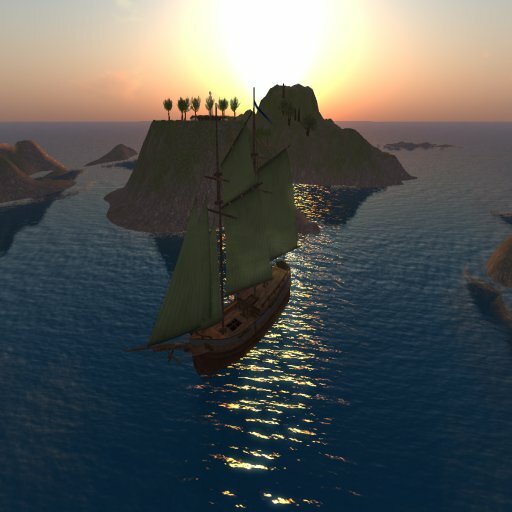 I am proud to say that the Steampunk Explorer group has led many visitors to Austral and may have played a small role in its early development. In many ways I feel the group is still just in the beginning stages but we have grown to over 160 members as of this writing and the membership includes some prominent figures in the steamlands. Our work has drawn the attention of several heads of state and we have received requests to establish offices in lands where we do not yet have them. The highest honor I have received since I settled in the 19th century is that of Knight of Austral, a title bestowed by the Governor-General or GG, Alix Stoanes. Although my personal commitment to Austral was certainly a factor, I do believe it was recognition of my work with Steampunk Explorer that brought this high honor my way. The neighbors I have met in Austral tend to be long time residents of this world with many, like me, having their main homes in other steamland nations. It is a great mix of talented and creative people and in the short time since Austral was first settled a sense of community has blossomed and continues to grow. I look forward to whatever the future brings here and to contributing in my small way to the success of this new land.